The writing that comes out of me sometimes gets on my nerves. That little kid's poem has been stuck to my brain for over a week. Penelope keeps reciting it, repeating it, over and over and over...and I can't figure out what she's trying to tell me. Why must she make me feel psychotic with her voice in my head? I know Penelope is frustrated lately. She wants so much. She wants life to be the way it used to be. She wants it to start over so that she can change things. Pen wants the ending to change. I know Penelope is a writer that is too afraid to publish anything. 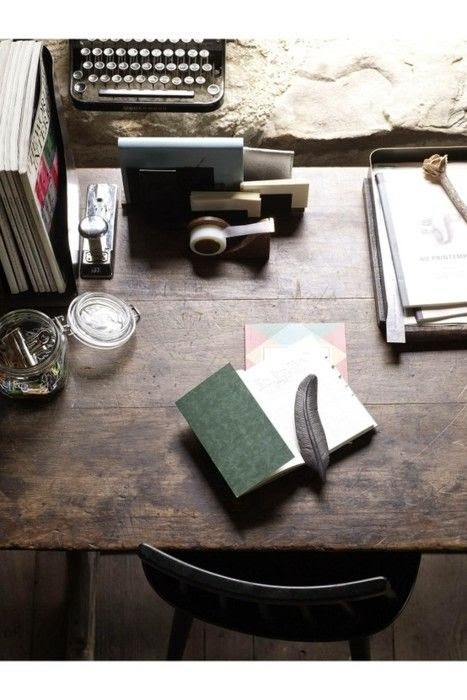 She has notebooks and pads of paper filled to the brim all over her studio apartment. I know how much she wants to have the confidence to write her words so that the world can see. I know this because I feel the exact same way. Penelope "Pen" Walker is my character. She is the heroine of my unpublished, not yet written, book. And lately, she has been screaming into my head to give her a voice. I think it's time to lose myself in Penelope and let her take the wheel. What will she make my hands scribble over paper after paper? Will she wake me up in the middle of the night willing me to get up and write down her thoughts? Will she give me her whole story instead of always in little fragments? I know what happens at the end of her story. I know the tragedy that awaits her. I just don't know what part of the story before the horror happens that she will tell me. It's not enough that her words torture me to make time to write them. It's not enough that her story's end repeats itself like a broken record. She's pretty annoying, actually. I know I need to give her a voice so that you can hear it, too. I need time. I need time to get all the words out.